The new Beyoncé film called Homecoming has arrived on Netflix. The 2 hour and 17 minute documentary takes an in-depth look at her Coachella 2018 performance, with candid footage and interviews leading up to the big event. Watch it on Netflix. Homecoming premiered Tuesday night at Howard University in Washington D.C and Houston’s Texas Southern University, two historically black colleges. To recap, Beyoncé’s Coachella set marked the first time a black woman has headlined the festival since its launch in 1999. She brought out special guests Solange, JAY-Z, and Destiny’s Child members for a reunion. 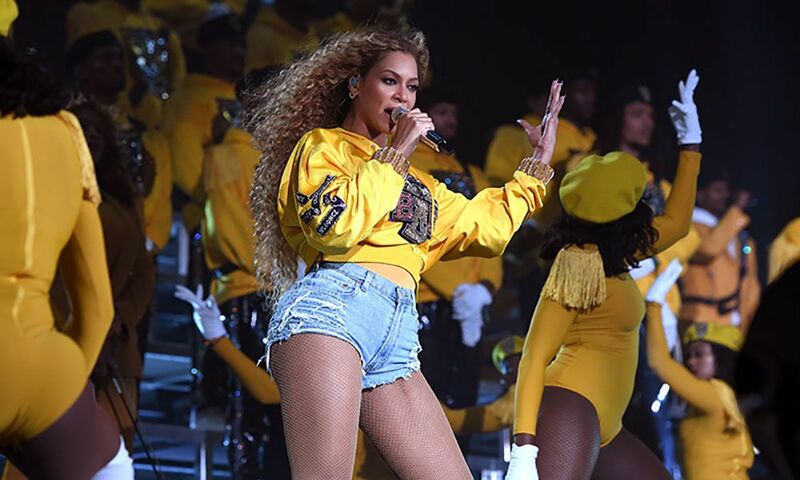 In addition, Homecoming has been released as a live album consisting of 40 tracks recorded at Bey’s 2018 Coachella performance. Stream it below.